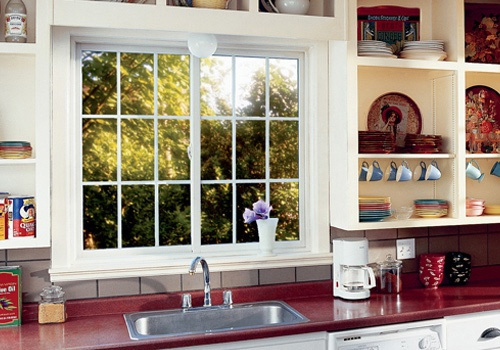 Is your home in need of replacement windows? You might have noticed higher utility bills, fogging in between the panes, or peeling and cracking on the sills before you started pricing out replacement windows. You might be tempted by all the deals and displays in the Hershey area, but Renewal by Andersen is the only replacement window company with more than 100 years of quality craftsmanship. We’ve installed more than 2 million windows in 300,000 homes across the country. 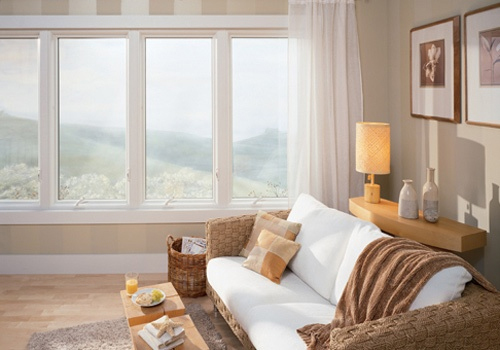 Find out why we have the best replacement window options for your home. Living in southcentral Pennsylvania can be hard on your home’s heating and cooling systems. With frigid Hershey winters and sweltering summers, your furnace and central air conditioner are working overtime to keep your home at a comfortable temperature. The last thing you need is for your windows to work against you. The U.S. Department of Energy estimates that you lose up to 40 percent of your home’s heated or cooled air when you have old, drafty windows. With Renewal by Andersen’s SmartSun glass, your windows will be 70 percent more efficient in the summer and 45 percent more efficient in the winter. According to Green Seal, a nonprofit rating group, our windows will save Hershey homeowners about 200 gallons of oil each year. If you have an older home with traditional wooden windows, you know the pains of sanding and painting them every few years. Freshening up that peeling paint is a time-intensive DIY project, and you’ll pay someone a pretty penny to do that work for you. Many homeowners who have vinyl windows are also disappointed by their overall look — they often lament vinyl windows’ plastic look and limited color options. Renewal by Andersen’s replacement windows are made of Fibrex, which combines the best attributes of wooden and vinyl windows. Fibrex is made of 60% thermoplastic polymer and 40% reclaimed wood fiber. Fibrex has the durability of vinyl without the maintenance of wood. 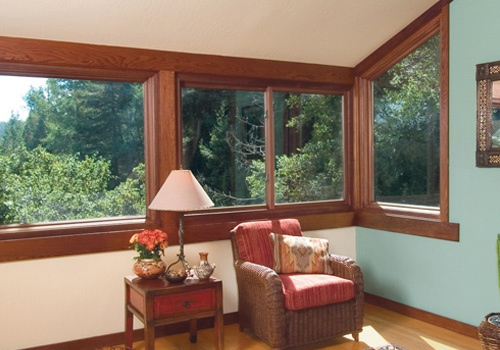 In addition, Fibrex is a better insulator than traditional wood or vinyl replacement windows. The composite doesn’t contain any of the harmful chemicals found in many vinyl windows — it’s the best of both worlds! We’re so confident in our professional window installers that we guarantee their work for 20 years. Our certified installers aim to make your installation process as uneventful as possible. We promise to show up on time, answer any questions you might have, prepare the area for installation, remove and dispose of your old windows, clean up the installation area, and demonstrate how to operate your new windows. 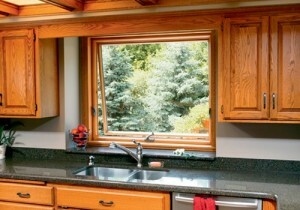 Renewal by Andersen offers a variety of window types and styles. To find the right choice for your needs and budget, contact us for a free consultation in your Hershey area home today. Call (717) 591-4900 for more information, or visit our showroom in Mechanicsburg to save even more money. We’re located in the Hampden Centre on the Carlisle Pike.